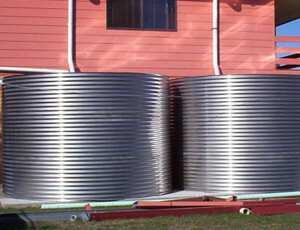 Colorbond Steel Tanks not only look amazing, they are also great value for money. Stainless Steel Water Tanks are becoming increasingly popular as they leave the smallest environmental footprint. Gardeners Watertanks’ Raised Garden Beds are made from high strength steel, with an internal food grade polymer lining for long life protection. Gardeners Watertanks Australia carry an extensive range of water pumps to suit any installation or purpose. NEW: Square and Modline Steel Water Tanks! Our new range of Square and Modline Colorbond Steel Water Tanks are available in popular colours and sizes up to 7000 litres. They are a cost effective solution that saves precious space and maximises the amount of water you can capture. Internal stainless steel cross bracing is engineered into the tank for maximum durability and strength. These tanks are available across Australia. Building a new home in Toowoomba or upgrading your existing water supply? Rainwater tanks are now compulsory in Toowoomba. Any new single detached houses built on blocks of land larger than 250sqm have to install a rainwater tank and other water-saving measures. But don't worry, Gardeners Watertanks deliver to Toowoomba. We offer a wide range of custom size, steel rain water tanks. Contact us now for a free quote on a rain water tank for your new home. As professional water tank installers Gardeners Watertanks Brisbane are happy to visit your home in the greater Brisbane area, to advise you on the best solution for your property. We are BSA Licensed and take great pride in personalised installations and after sales service. We have years of experience installing rainwater tanks in homes, apartment blocks, schools and shopping centres in Brisbane. Melbourne Water Tank Clearance Sale! We have a range of brand new steel sale water tanks available immediately (from cancelled orders). These steel tanks are only available in Melbourne and are clearing fast. Call 1300 556 813 for delivery costs to your postcode.